UPDATED: Fri., Feb. 10, 2017, 9:14 p.m.
For those who live in the low-density landscape of the Palouse, Spokane’s Ag Expo is the best place to catch up with neighbors in winter outside of a funeral. Derek Sandison, director of the Washington state Department of Agriculture, made the trip from Olympia at the urging of local WSDA staff, who convinced him it was the place to be to connect with Eastern Washington’s production agriculture community. Sandison was easy to spot in the WSDA booth Wednesday, in blue blazer and tie amid a sea of denim and plaid. He had recently returned from the annual winter policy meeting of the National Association of State Departments of Agriculture in Washington, D.C. I was spending the morning helping at the Washington Ag Forestry Leadership program booth and polling passers-by for their opinions on former Georgia Gov. 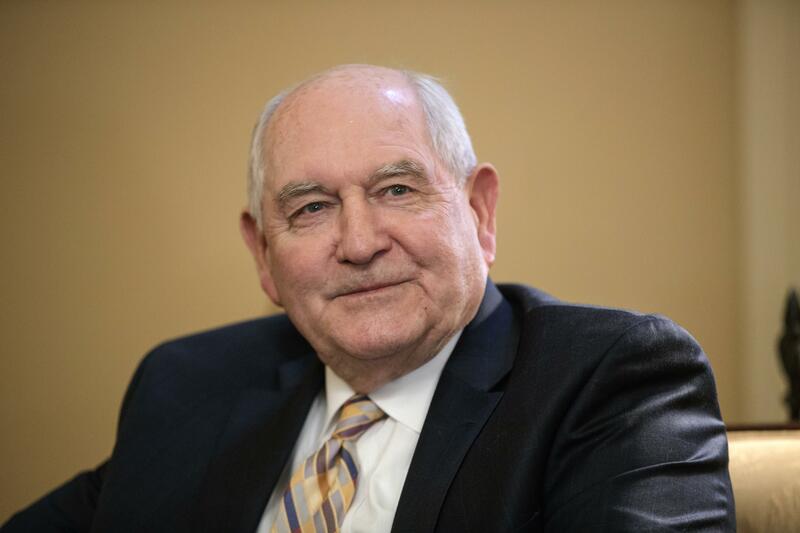 Sonny Perdue as the president’s nominee for secretary of agriculture. Sandison’s answer was consistent with other Ag Expo attendees – Perdue is mostly an unknown to our region, but we’ll give him a chance. Key issues for our region are U.S. trade policies and opening export markets in the Pacific Rim. About 90 percent of Washington’s wheat is exported west, and many were looking to the Trans-Pacific Partnership to enhance the market for major grain and pulse (pea and lentil) crops. Perdue’s background as the governor of Georgia, also a major agricultural exporting state, was cited as a hopeful sign that the presumptive new head of the USDA understands the importance of trade to agriculture. Negotiating new bilateral trade agreements will be a priority, including major markets like Indonesia and China that weren’t covered by the TPP. While international trade is an area in which agriculture might hope to see the federal government be active, less is more when it comes to the administrative state. Tom Vilsack, who served eight years as secretary of agriculture, was quoted in December in a Capital Press editorial saying “We (Democrats) as a party have not spent enough time in rural areas.” The Capital Press disagreed, citing rules coming out of the Department of Labor, Forest Service, Bureau of Land Management and the EPA, and suggested rural areas might appreciate a little less attention. That analysis was confirmed back at Ag Expo. I asked a nonscientifically selected sample of neighbors – anyone not engrossed in serious conversations with vendors when I strolled the aisles – what they would like the USDA to stop doing in the interest of slimming down government. It’s a tough question, this task of unraveling regulations and programs. Once put in place, regulations become somebody’s normal to be defended. And sometimes normal is a trap. One farmer spoke to eliminating farm subsidies and overhauling voluntary crop insurance programs. He cited the long-term damage they do by locking in current practices. Innovation would allow farmers to better adapt to the market. Perdue will take over an agency that owns and manages over 300,000 acres of U.S. Forest Service land in the Colville National Forest, where layers of federal involvement affect every aspect of rural life in northeast Washington. Southeast Washington depends on sensible USDA policies for agriculture and rural communities. And the USDA is also charged with administering food stamps, the highest-profile entitlement program in the federal budget after health care. Perdue’s background as a farmer, veterinarian, business owner, governor and state legislator who’s had to balance budgets and set priorities looks perfect for the role. It won’t make for exciting confirmation hearings or splashy headlines. But it is a critically important appointment for Eastern Washington. Published: Feb. 10, 2017, 1:25 p.m. Updated: Feb. 10, 2017, 9:14 p.m.